Many women regard their breasts as the characterizing feature of their femininity. This may be the reason why the shape and size of the breasts are often important for women regardless of age. Almost all our patients have a desire for natural-looking breasts in the right proportions to the rest of their body. 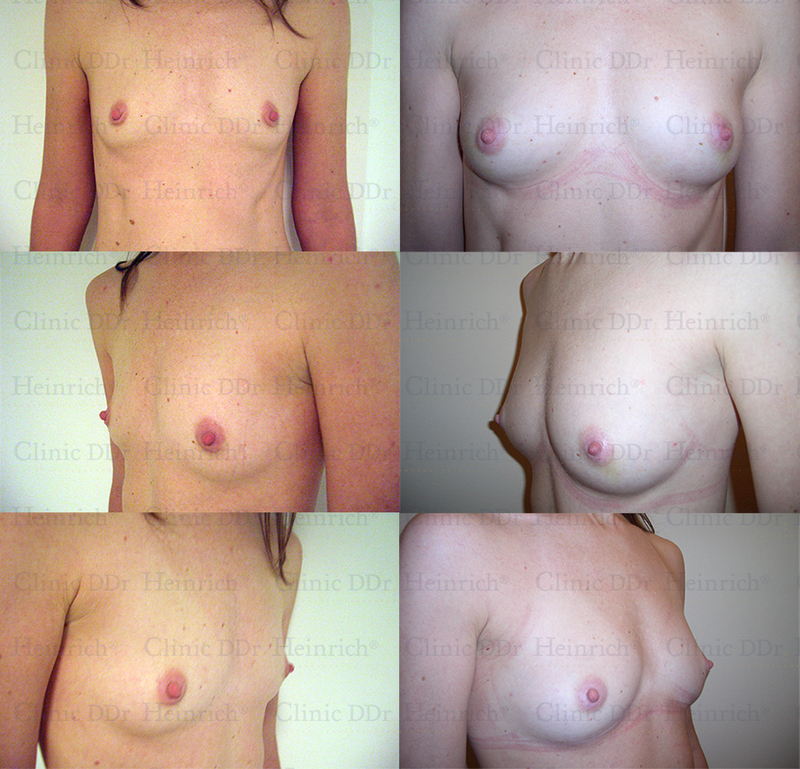 The appearance of the breasts is essentially determined by genetic and hormonal factors. Therefore lifestyle habits, sports, nutrition, etc. only have a very limited effect on the breast shape. For the most part, our patients consider their breasts to be too small and suffer a great deal as a result. Frequently the cause of this suffering is due to differences in size or unwanted changes in shape and loss of volume, especially after breastfeeding. If the breast had to be removed, e.g., after suffering from cancer, many women want to get rid of the external traces of surgery to the greatest possible extent. Breast augmentation with the body’s own fat and stem cells enables gentle shaping of the breast without silicone or other artificial fillers, without leaving scars, without general anesthesia, and without impairment of the natural breast function. My breasts look and feel totally natural. What impressed me in particular is the fact that my body was also enhanced by the liposuction, but is still clearly my body. This technique is both suitable for women who have always wished for a bigger breast and for those who have lost originally existing breast volume due to breastfeeding or weight loss. In the scope of the procedure a breast augmentation from approx. one half to two cup sizes is achievable.